When it comes to jewellery, I'm a 'less is more' kinda girl. I don't do big, bold, statement pieces, they're just not me. Never have been. I like more delicate pieces usually. I'm more of a ring and bracelet person too, favouring those over earrings and necklaces. 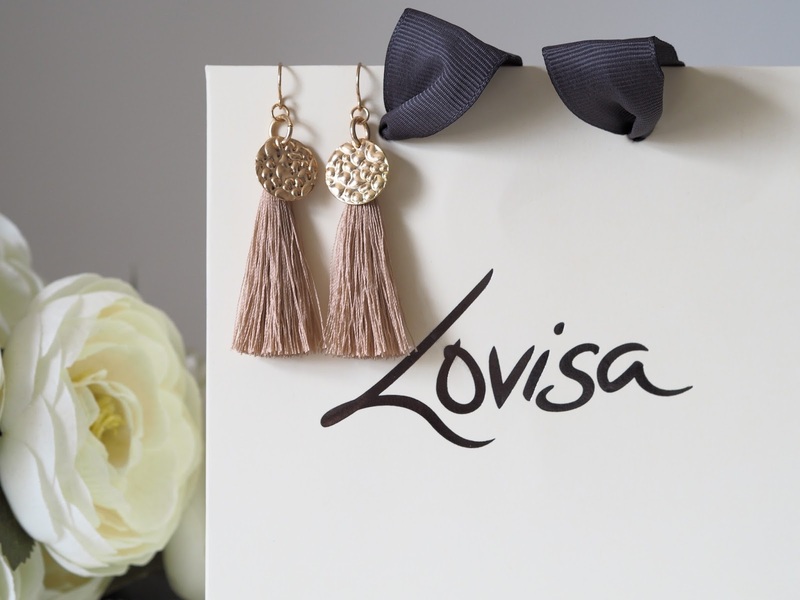 I've not even jumped on the tassel earring bandwagon, until now that is! 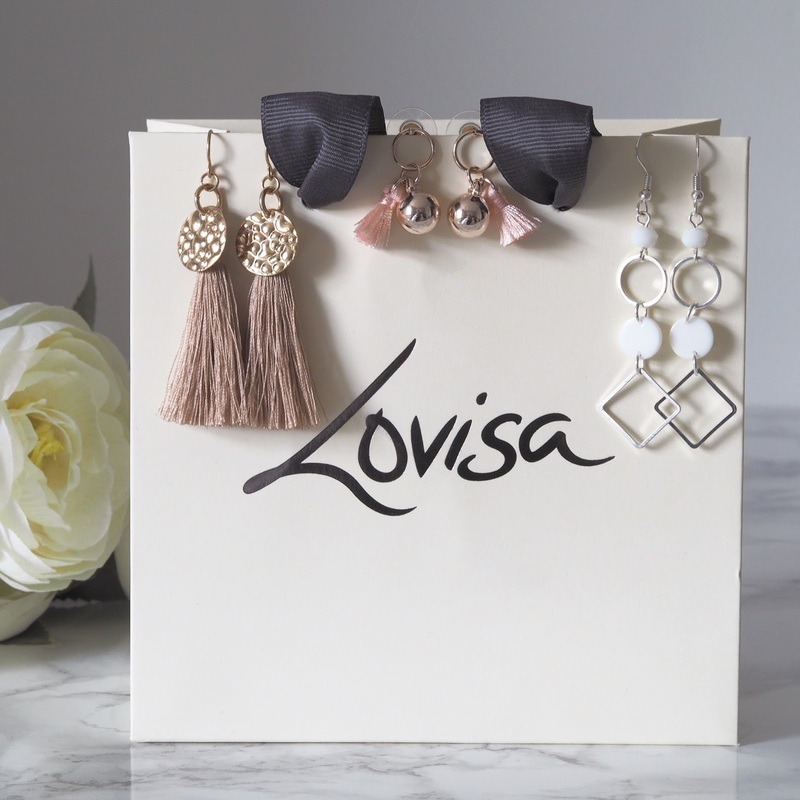 Last week I was walking through the shopping centre in our town and passed a shop called Lovisa. It's such a gorgeous looking store, and with all things sparkly it lured me in, which is unusual because as I say I'm not the biggest jewellery fan. 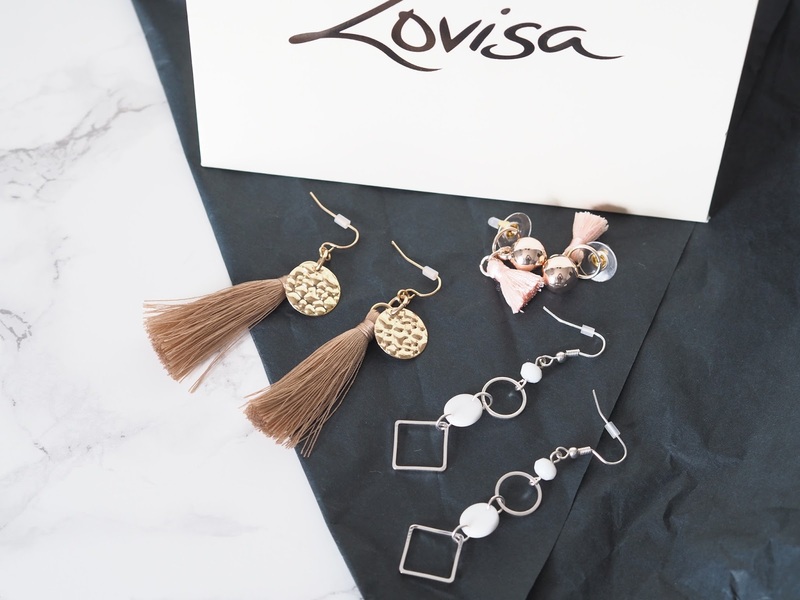 The tassel earring trend looks set to continue and lots of them were placed at the front of the store to catch the eye of the passer by. It did the trick. I was in. And, they had some fantastic offers on that were certainly drawing in the crowds! I honestly thought tassels would be a fad, around for five minutes. Nope. Still going strong so I caved and bought myself some. 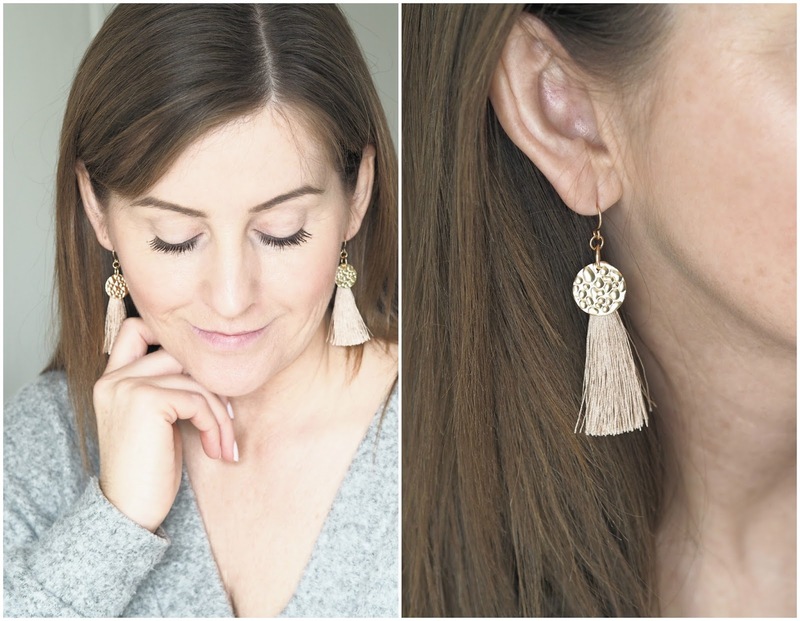 You can see though that my tassels are not 'in your face' ones, I chose a neutral shade to keep it quite subtle but yet still noticeable, actually, you can't miss lengths and lengths of cotton dangling from your earlobes no matter what the colour can you?! As I said, they had various offers on around the store and I went for the 3 pairs of earrings for £9. Bargain hey? Only thing was they had soooo much choice. Too much. I was in there for hours. Well, seemed like it anyway! The gold coloured tassels are perfect for me. I can keep it casual and wear them in the day with the right outfit or jazz up an evening ensemble. I picked up a second pair of tassels but tiny ones. I thought these were cute and such a pretty peach colour, great for the summer. My third pair are the silver and whites danglies. These will look great when I'm on my holidays with a tan and long frock don't you think? To be honest my earring selection consists of mainly studs, so these are quite different for me. I love them though and think it's about time I started pushing my boundaries a bit and became a bit more daring maybe. We'll see. I've realised though that tassels are a great accessory as there's a style and colour to suit everyone and they are prefect to swop and change with your outfits with so many colours available, from pastels through to brights, delicate ones to those huge pull down your earlobe ones. The choice is yours. 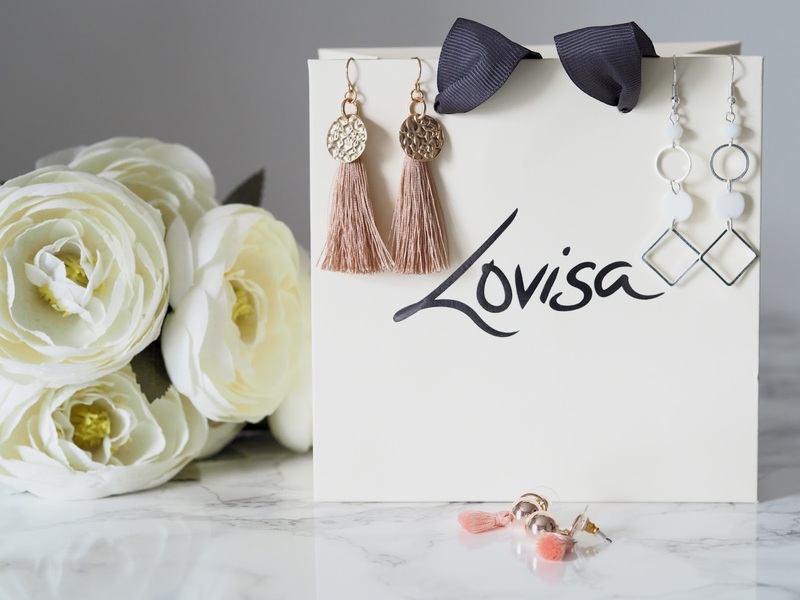 I'll be going back to Lovisa to see what else they have to offer in the necklace department. I notice from their website they have lots of stores in the UK but you can also order online if you fancy. And..........I've linked a selection below from around the web for you to have a look at too! You're welcome. Are you a fan of the tassel trend? I LOVE tassel earrings but would you believe I don't actually own a pair! Just not sure they suit me! But I really like the ones you have chosen.